Working on Wellness program participants include small, medium, and large-sized organizations in a wide variety of industries throughout the state. 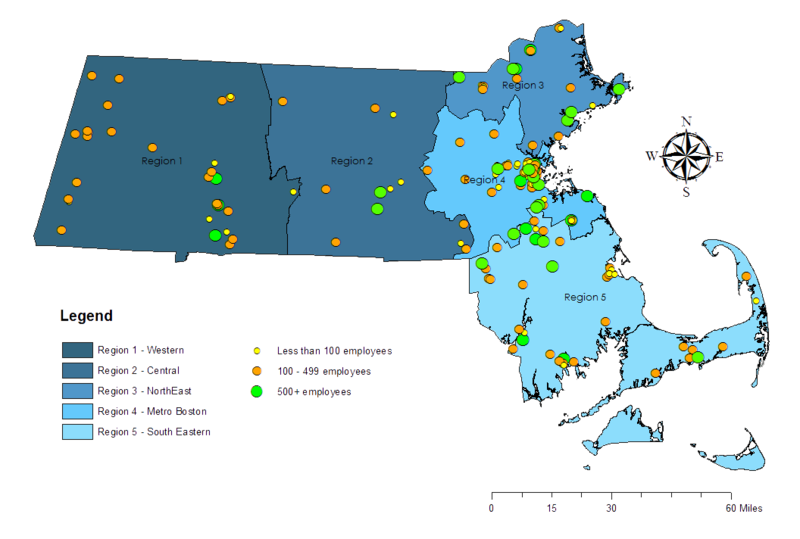 Massachusetts Working on Wellness employers have created policies and programs based on their identified needs, engaged the communities they work in, and evaluated their efforts with Working on Wellness support. 156 employers have developed comprehensive worksite wellness initiatives, impacting over 70,000 employees.